CRISTIAN VOGEL’s fourteenth album is already a classic. Every track is subtly shaped, full of nuances without drifting into gimmickry. Every sound is efficient and precise. 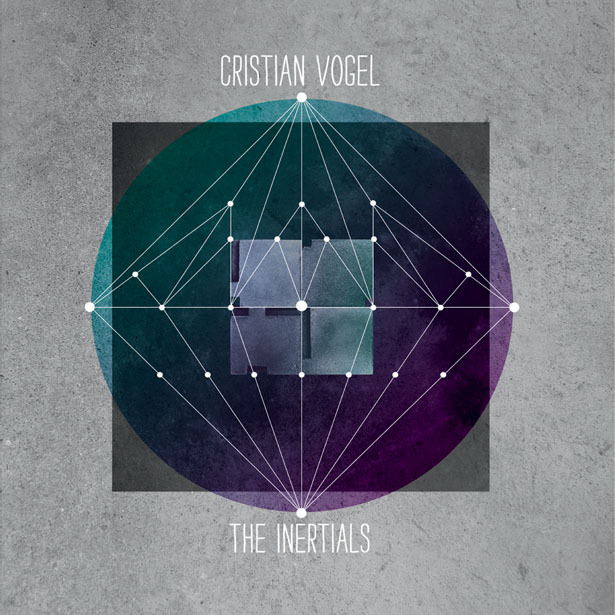 With THE INERTIALS, Vogel nonchalantly provides the soundtrack for industrial wasteland. This is clubmusic beyond any genre which, while bearing the spirit of Industrial Techno, is way above the Rave-dogma which dominated Industrial Techno during the 90s. The dark side of high end production, as you may call it. With a great sense of distinct melody and harmony, Vogel as a producer roughs up the digital surfaces. This is how he adds depth and body to his music, which is something a lot of techno-related productions are lacking. With CRISTIAN VOGEL, digital clarity has patina and at the same time sounds hazy. At a predominantly moderate tempo, Vogel, a perfectionist, cleverly combines creaky sounds with swinging rhythms. With a knowledge of Dubstep, but unimpressed by the short-lived micro-trends of clubmusic, he has assembled the newest standards of digital production on THE INERTIALS. The lively „Seed Dogs“ with it’s unexpected tempo changes; the surprising „Lucky Connor“ with it’s marvellously complex rhythm; the hypnotic, incredibly groovy „Snakes In The Grass“, appearing like a confident nod towards Minimal techno; the mysterious „Deepwater“, creating suspense from the very first moment like a John Carpenter soundtrack. The list could be continued indefinitely. Every track is timeless and rests within itself. „Todays Standard Form“ is a syntheziser arpeggio fantasy with no beats at all, a prelude for the midi piano, if you like. And with „Dreams Of Apolonia“, dub for the first time is not just insinuated, but actually emerging in it’s own right.